Legendary Indian actor Amitabh Bachchan is constantly reinventing himself and is scaling new frontiers. 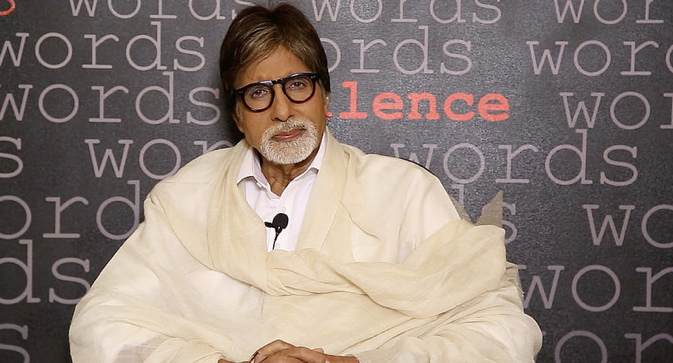 In this conversation with RIR at a press conference in New Delhi, Bachchan said that he would like to see more Bollywood films being shown in Russia. He also spoke about the need for innovations in cinema and his new film “Shamitabh,” which revolves around the film industry. You were extremely popular in the USSR and are also now very popular in modern Russia. But your Russian fans can’t watch Indian movies any more. What’s the reason for it? I don’t know why our films are not shown in Russia any more. That should be decided by our distribution section. But I do keep in touch with many of my Russian fans. I have a very close association with them almost on a daily basis, because I write my blog and they are with me on Twitter and Facebook. I also believe that some of our films can be seen on Russian television. So I hope that this will continue. I don’t know what agreements are there between India and Russia in this area, but I do hope that they can get to see many of our films. I know that Russian fans are very fond of Indian movies. They are popular there right from the time of Raj Kapoor, Mithun Chakraborty and more recently Shah Rukh Khan. So I hope that this issue is quickly solved and we can have films being shown in Russia as well. How are the high-end technologies affecting the movie making? Do you feel innovations suit Bollywood well? It’s been 45 years for me in the industry. Yes, quite obviously I see change. Life changes. Country changes. Society changes. Generations change. Some of this is reflected in the cinema as well. In the late 1960s when I came, things perhaps were a little calmer, the communication and media industries were not so present; we didn`t have so much television, just one state channel, we never heard about mobile phones. The speed of the communication was much calmer, so it reflected in creativity as well. Speed increased and if you watch the film of the 1960s, you will find far less cuts in that than in, for example, my new movie “Shamitabh.” The difference is almost four times. What I am trying to say is that people are more impatient to get on with the job rather than allow it to settle down. Your media, if you watch it, they speak so fast. I always wonder how they can manage that. Every two seconds some titles appear on the TV-channels even if somebody is anchoring the news, just to grab your attention. That’s what has changed. Technically, we got more knowledge about what happens in the rest of the world. There are 800 TV channels in India. I think it’s a huge competition for us and cinema. You can watch something perhaps more technically advanced through another channel, free of cost at your home than to spend a big amount of money and come to the theatre and watch a movie. That’s why we try to improve. I must give credit to today’s generation and audiences because they have provoked us to do something different, to present stories in a different ways. You are still one of most the popular actors in India since a very long time. How do you feel about your new roles? We must accept that younger and more good-looking people are coming into the film industry, and are winning. That’s a part of our work and happens to all of us. The sooner you accept it, the better it is. I am very grateful to some producers and directors who still give me some roles to do. I hope that I can continue to work like this. What is most important about your new movie “Shamitabh”? First of all, it is a coincidence that my colleague’s name is Dhanush and mine is Amitabh. But I must say the screenplay is beautifully done. Secondly, it is a statement on the cinema, life, may be even much more profound that people want to understand. It is a wonderful story. There is entertainment, there is everything in it. I will leave this to audience to figure out. There is a lot of involvement of the (film) industry in this film. It runs around the industry. You will see many artistes and prominent directors, playing themselves.